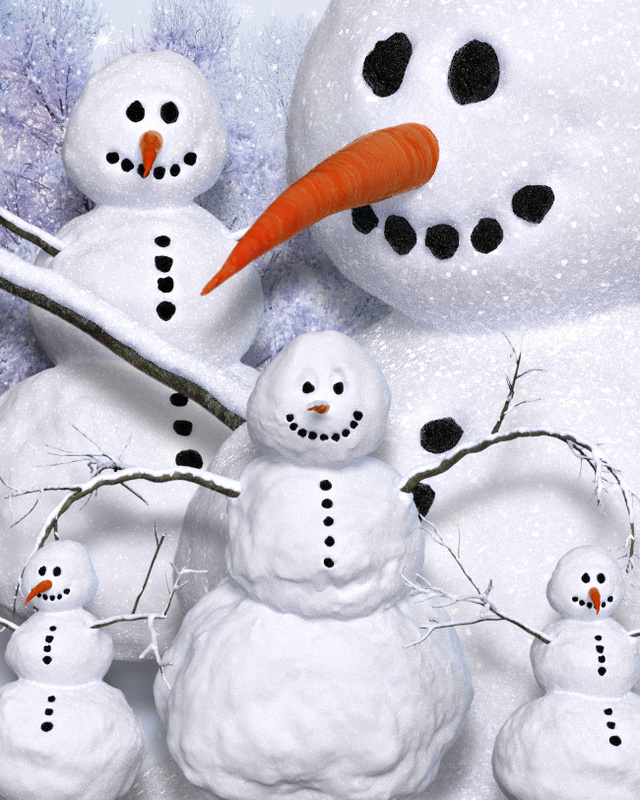 Create a stunning winter scene with these snowmen graphics. The promo images have been reduced. The actual images have no drop shadows. Celebrate a magical winter scene. 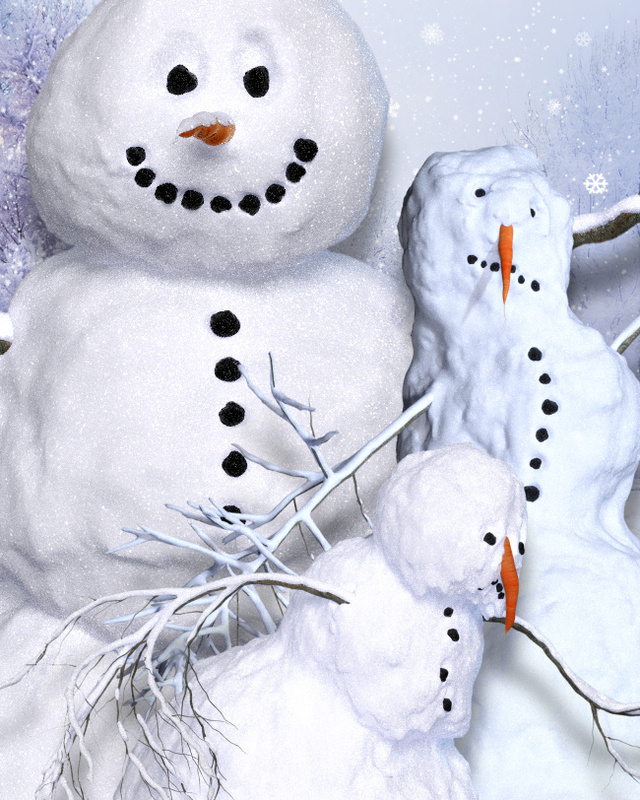 Realistic snowman graphics for your holiday and winter creations. 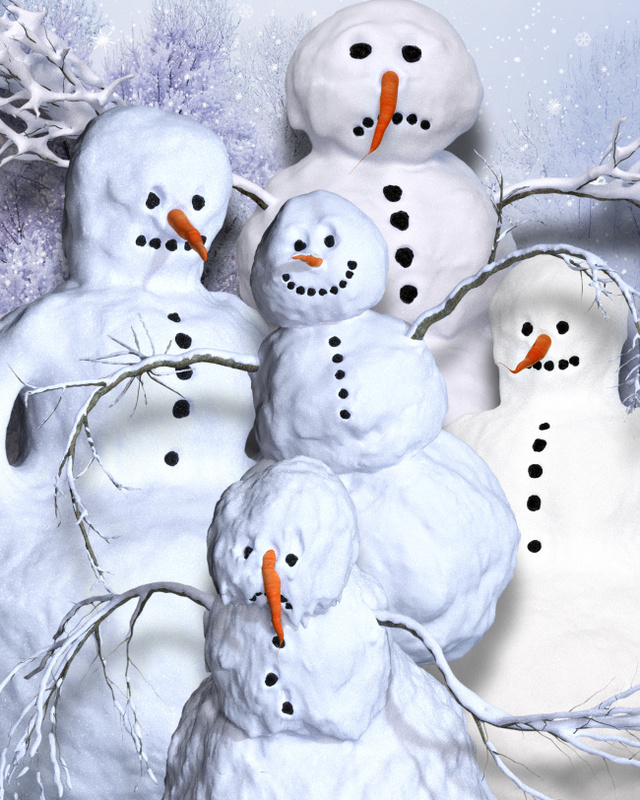 Some are full and covered in glistening snow, while others are melting, making these snowman very realistic and versatile for whatever winter scene or project you have in mind. I created some in wintry blue and others in glistening white so that they will work with a variety of different backdrops. In all, these snowmen will be great for countless projects, including winter scenes, embellishments, and more. I suggest that you use the “unsharp” filter if you resize them in order to retain the glistening snow appearance. This package has 21 snowmen in a variety of poses. They have no drop shadows. The size of these images varies, but most of the backgrounds are about 2100 X 1800. They are 300 DPI, making them great for print projects. This package is one zip file, which is approximately 67 MB.